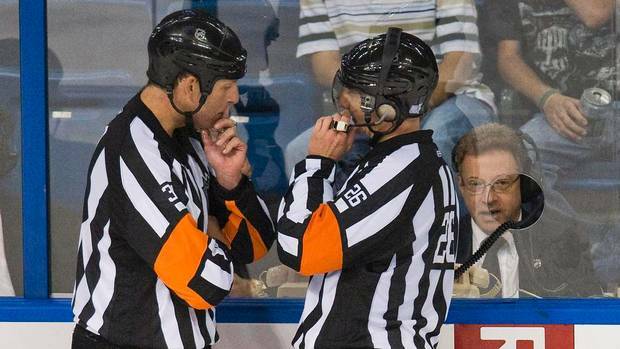 Many of us here in Kansas City don’t really understand the NHL, a league known for handing out ridiculous suspensions, allowing moronic fights to occur on the ice, and showing a bias toward the original six franchises (Detroit, Chicago, Toronto, Montreal, New York, Vancouver.) However, for those of us that do follow the national hockey league, there simply is nothing better than the NHL playoffs. As a self-proclaimed enthusiast of the four feathered men (Chicago Blackhawks), these NHL playoffs have gotten off to a rough start. In the Western Conference, the Phoenix Coyotes hold a 3-2 series advantage over the Blackhawks, with the series returning to Chicago Monday night with the Hawks in a win or go home situation. Blackhawks captain Jonathan Toews scored an absolutely remarkable goal in overtime of game 5 to force the series back to Chicago. Each game in this series has gone to the extra period, with the Coyotes effectively playing an aggressive style of defense to combat the offensive power of Toews, Patrick Kane, and Patrick Sharp. In game 3, Coyotes defender Raffi Torres launched himself at the head of Blackhawks forward Marian Hossa, knocking Hossa out of the game and breaking his jaw. 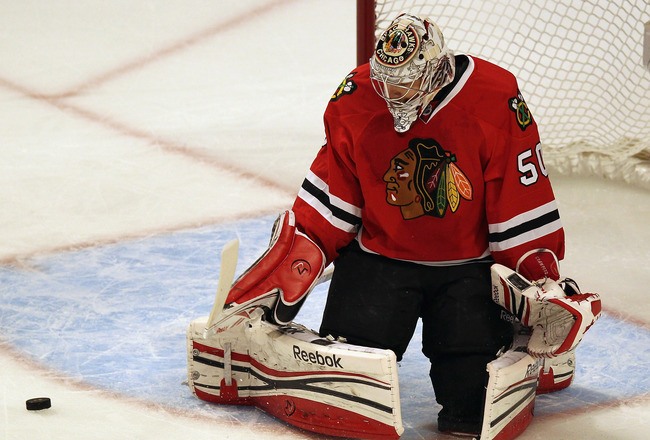 Torres was given a 25 game suspension for the act, and Hossa likely is done for the series. He could return if the Hawks advance. Also out west, perennial super power Detroit has shockingly been eliminated by the Nashville Predators, a team that always seems to knock of the big boys when it matters most. The 2nd seeded St. Louis Blues have also won their series, 4-1 over the disappointing San Jose Sharks. St. Louis is a team that has really come into it’s own in the latter part of the season with the extremely efficient play of David Backes, while San Jose has gone the other way. Tonight, the 8th seeded Los Angeles Kings will try to complete the unthinkable as they attempt to knock out the overwhelming favorite Vancuouver Canucks, a franchise still searching for it’s first Stanley Cup Championship. Canuck fans have known heartbreak all too well, as 3 of the last 4 seasons the Canucks had the top seed in the Western Conference but failed to hoist the Cup. Vancouver goaltender Roberto Luongo is known as one of the best goaltenders to ever play the game, but if he fails to bring a championship to the terminal city, his legacy will be one of failure. 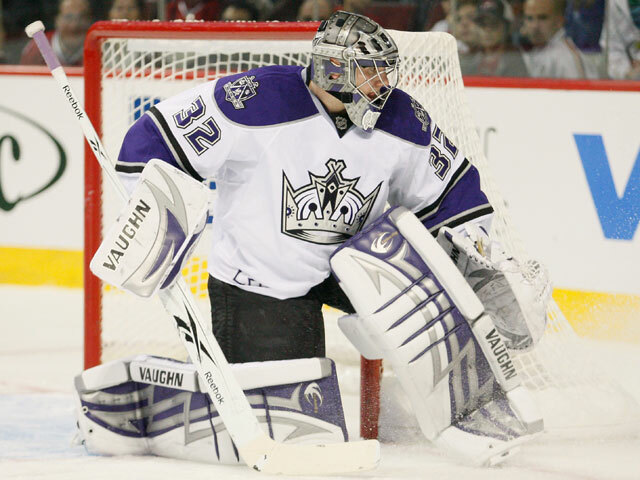 The series has been surprisingly dominated by Jonathan Quick and the Los Angeles Kings, as they hold an advantage of 3-1 in the series. Hockey is a crazy game, however, as just last season the Chicago Blackhawks won 4 straight games to come back and shock the Canucks 4-3. This year, the Canucks will try to follow suit, except playing the part of the Hawks. Shifting things East, the Broadstreet Bullies (Philadelphia Flyers) have righted the ship as they have defeated their in-state rivals Pittsburgh, winning the series 4-2 and advancing to the East semifinals. As I type this, Boston and Washington are tied at 1-1 at the end of the 1st period of game 6, with the 7th seeded Capitals leading the series 3-2. The defending champion Boston Bruins are really having trouble converting on the power play in this series, as they are only 1/13 on the power play, worst in this years NHL playoffs. Goalie Tim Thomas is also struggling, having allowed 7 goals in the last 6 periods of action. For the Capitals, this postseason has been one of surprising success to this point. After being the East’s top seed the last 3 seasons and failing to reach the second round of the postseason, largely due to the disappointing play of star Alex Ovechkin, they have relished the role of being the underdog this postseason. The former number 1 overall pick has been known to shine during the regular season only to flop once the calendar flips to April. Winning a championship, or even a playoff series, would go along way in helping Ovechkin shake the criticism. Elsewhere out East, top seeded New York is in trouble as they trail the Ottawa Senators 3-2 in the series with the series shifting back to Ottawa for game 6 Monday night. The Rangers have been arguably the most consistent team in the NHL all season, however they faltered down the stretch losing 4 of their final 5 games to close out the season, so an Ottawa upset would be a little surprising, but not shocking. In the almost forgotten series of the playoffs, the 4th seeded Florida Panthers hold a 3-2 series advantage over the 5th New Jersey Devils in the East. Not much exciting is going on in this series, just solid, well-played hockey. Two of the best goalies in the game, Devils’ Martin Brodeur and Panthers’ Jose Theodore have gone toe to toe in the series, both boasting remarkable save percentages in the lower 90’s. Those of you that aren’t hockey fans, I encourage you to sit back and enjoy the remainder of the playoffs. And if you find yourself failing to find a team to root for, those Blackhawks can use all the help they can get at this point. This entry was posted in Home and tagged Blackhawks, Blue, Hockey, NHL.